"K’NEX® 3D lets you build beyond the instructions as you spin, pan and zoom around your favorite creations! Having trouble with a particular build? Not sure exactly where that rod connects? 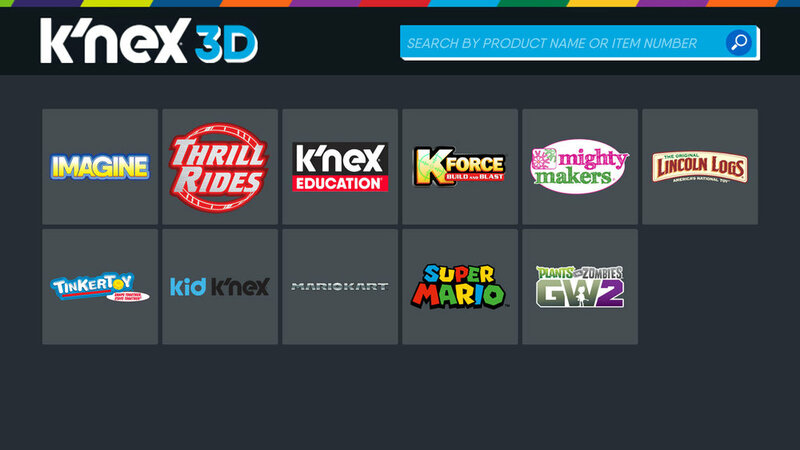 Download the app and you’ll be able to browse through 3D turnaround images of builds from every current K’NEX set. Get an extreme close-up of the area you’re having trouble with and you’ll be on to the next step in no time! Up for a challenge? Skip the step-by-step instructions altogether and build right from the 3D image to prove you’re a true K’NEXpert. You can also use the app to browse through all of the builds in different sets and see what you want to get next!"